Last updated 9.34 am Wednesday - The House of Representatives this morning approved a motion for the transfer of properties to the Sadeen Group for use by the 'American University of Malta' following a 15-hour debate through the night. The vote was taken after the Speaker over-ruled objections by Opposition leader Simon Busuttil who argued that MPs should not be asked to vote on a motion which spoke about a university once Education Minister Evarist Bartolo had revealed that the investors had sought a licence for a 'Higher Education Institution' and not a university. Replying to the objection, Education Minister Evarist Mr Bartolo said higher education institutions were entitled to offer university programmes. Dr Busuttil said the law clearly said that licencees in the category of Higher Education Institution 'shall not use the word university,' yet MPs were being asked to vote on a document which repeatedly used the word university. Could this be allowed by the Chair? Mr Bartolo said the purpose of the motion was the transfer of land and properties to Sadeen Investments Ltd. That was clearly started in the opening paragraphs. Dr Busuttil said the House should not be misled. The contract continually referred to 'university' and 'American University of Malta' in blatant breach of the law. Furthermore the motion said the properties were being transferred to Sadeen for the purposes of the contract - which were stated as being a university. Prime Minister Joseph Muscat said the object of the motion was the transfer of the property not the granting of titles to universities. The contract laid down the obligations of a university when it became operational, not when the land was transferred. The government was therefore legally correct. The sitting was interrupted for the Speaker to give a ruling. He then ruled that the vote could take place (see below). The sitting started at 6pm yesterday, with the debate getting under way at 6.30 pm. 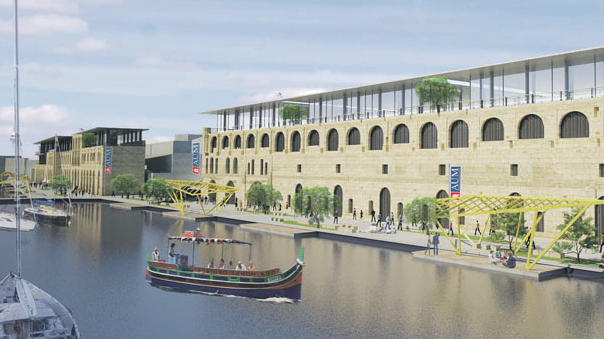 The motion provides for the transfer of a site in Zonqor and old warehouses alongside Dock 1 in Cospicua for use by the AUM. The government insisted that the motion must be approved before the House rises for the Christmas recess. However no cut-off time for this sitting was given. Early in the debate (yesterday), Dr Busuttil said the investors of the new American University of Malta broke the law when they advertised the 'university' without having even applied for a university licence. Dr Busuttil said this was the first time this was being said. That being the case, he said, the Education Act was being broken since no institution could advertise itself as a university unless it had a licence and qualified as such. The remarks were made as the House of Representatives started to debate a motion for the transfer of a site in Zonqor, Marsascala and old warehouses alongside Dock 1 in Cospicua for use by the 'American University of Malta'. The university is to be set up by the Jordanian Sadeen Group. An impression of the university campus in Zonqor. The debate was opened by Education Minister Evarist Bartolo, who spoke on how the international aspect of education in Malta has been growing, such as with the mushrooming of language schools. The government, he said, wanted this sector to grow even further, but it was careful to ensure that standards were high. That was the role of the National Commission for Higher Education, among others. "The process of accreditation of the AUM is very rigorous. Between April and December 41 contacts were made between the applicants and the commission for the assessment of the various programmes as well as governance and the CVs of the academics," Mr Bartolo said. The granting of the licence did not depend on the volume of investment but the academic standards, Mr Bartolo said, adding that the application was for the operation of a 'higher education institution'. The right to be qualified as a university would then be achieved with the standards shown during the actual operation, he said. The commission was also examining the relationship between the AUM and the American De Paul university, which is drawing up the courses, the minister added. "We will not lower standards to accommodate anyone, that would harm us in the long term. We must maintain the standards we achieved in the past," the minister added. He said the investment on the new project would be €104 million and 300 jobs would be created, with priority being given to Maltese academics. There would be up to 4,000 students. 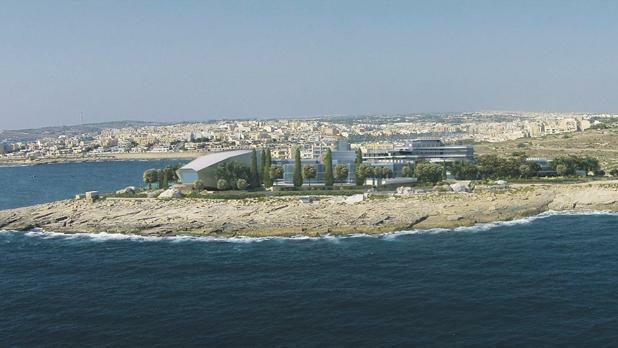 The campus in Cospicua would include the institutes of of arts, education, business and communications, while engineering and science will be at Marsascala. The sites being handed for the Sadeen group were solely for educational use, the minister stressed. Opposition leader Simon Busuttil said this issue exemplified how money had become the object of this government, to the detriment of good governance, the environment, and education standards. This government was steamrolling the project through parliament in a single sitting of the Chamber. The prime minister decided, on his own and in a minute, to grant public property in an ODZ to investors who had no education experience but said they wanted to build a university. The project was being called an American University when the investors were not American. Turning to the environment aspect, Dr Busuttil said both sides made mistakes in the past, but a line needed to be drawn. There was no need for this project to be built on an 18,000 square metre ODZ zone in Zonqor, since there was a viable alternative. This even violated the law enacted by the present government which said use of ODZ had to be at a last resort and with reasoned explanations. Why was the government bent on using Zonqor instead of Tarxien identified by Mepa itself. What was the use of a sea view for a university? Was this, possibly, because an ODZ site was cheaper? If the investor could not afford that, what sort of investor was this? Some people were making comparisons with SmartCity, but that was already a committed industrial site, and it had been greatly improved by the project. Turning to education, Dr Busuttil said the opposition wanted more foreign students coming to Malta, but not at the expense of standards. This government had sought to quietly change the law to reduce the requirements for an entity to be recognized as a university. And a university licence could even be issued 'in the national interest' even if those requirements were not met. This was a shame and undermined Malta's reputation. Why was property in Cospicua and Zonqor being handed over before the university licence was granted? Shouldn't things have been done the other way around? Or had the national commission been told to issue the licence? Why the hurry? This was the first time that the minister had said the application was actually for a higher educational institution, not a university. How come. The investors had been allowed to advertise themselves as American University of Malta when they did not even apply for a university licence. The law itself said one could not claim to be a university when they were something else. This was therefore a clear breach of the law. What action would be taken? The government was making a farce of the whole process, Dr Busuttil charged, adding that it was a disgrace that the investors had been chosen without a call for applications. This was a project which lacked transparency and led one to suspect corruption, he said. Money, he said, had become the 'god' of the present government and everything was for sale. The proposed campus in Cospicua. Replying, Prime Minister Joseph Muscat said this project was an opportunity for social and economic growth particularly in the south, which was binned by the former government. Dr Muscat said he wanted to reject claims of interference in the National Commission for Higher Education, chaired by a person, Martin Scicluna, who was totally independent of the government. "I have every confidence that Martin Scicluna will take the appropriate decisions,” Dr Muscat said. He said that if the investment did not get a licence, the contract for the transfer of property would be nullified. That was in the contract itself. But it was clear, Dr Muscat said, that the Opposition simply did not want this investment to happen. As to the fact that no call for offers were made before the investors were chosen, Dr Muscat asked what calls were issued before decisions were taken on the sale of Mid-Med Bank, the introduction of Microsoft with a major role in Malta or the Smart City investment, among others. This project, Dr Muscat said, would be a game changer, leading to even more investment in Malta. The opposition, he said, was free to attack the government, but it should not undermine Malta's reputation. MARLENE FARRUGIA: WHY IS THIS COUNTRY BEING RAPED? 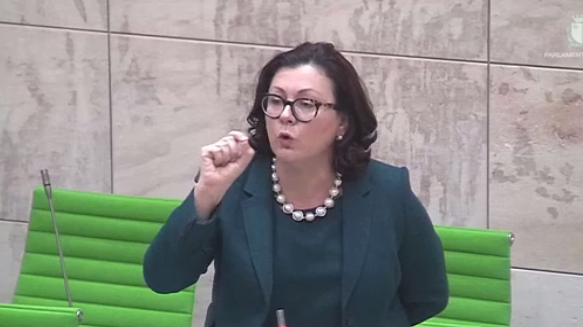 Independent MP Marlene Farrugia said everyone agreed that Malta should be a fountain of education for the world, but it was unfortunate that this first major foreign investment in education was mishandled. The government should have drawn up a holistic plan, including what it could offer such institutions and what it could not. The country could have set the parameters and not let somebody else decide them for the country. Then a call for expressions of interests should have been issued. But this government, on its own without even consulting its own parliamentary group, decided to bring in the Sadeen Group and to give it an ODZ in Zonqor. It was only after intense public pressure that the take-up of the ODZ area was reduced. Still, why was this precious resource being taken up when there were alternatives. "Why is this country being raped?" she asked. "The government had an opportunity for a project of sustainable development, but instead, a Faculty of Science will be built on virgin land. The biggest science lesson is about sustainability," Dr Farrugia said. She accused the government of deceit and said it would have been an educational experience in itself had old disused buildings been used for the whole project. The people, she said, were promised a new style of government, not excuses that 'the nationalists did so too'. This, she said, was not a race to the bottom. Had the government opted for alternative sites for the project, this project could have been the best achievement of this administration, Dr Farrugia said. As it were, rather that giving something to the people, the project was taking the best thing which Marsascala had - Zonqor Point. It was unheard of in serious democratic countries, she said, that negotiations were held directly by the Office of the Prime Minister. What had become of the institutions? Dr Farrugia said the groundrents being charged for the properties was a pittance. And who would pay for the restoration of the old warehouses in Cospicua? Who would pay for the new access roads in Marsascala and the utilities? Clearly emotional, Dr Farrugia said the south was not binned in the past, it was being binned now. "The land (in Marsascala) was ours, you had no right to sell it," she insisted. "The south is being binned now. Just wait for the tanker in Marsaxlokk." Under this government, she said, dumping had started again at Wied Fulija and bigger cranes were operating at the freeport. And then the prime minister said the south was binned in the past. Concluding, she said she hoped the mistake being made now would not be repeated. "Do not steal the property of the many to give it to the few," she said. "Any man can make mistakes, but only an idiot persists in his error," she concluded, quoting Cicero. Other speakers in the debate were Charles Mangion, Mario de Marco, Chris Cardona, Beppe Fenech Adami, Leo Brincat, Marthese Portelli, Owen Bonnici, Robert Arrigo, Edward Zammit Lewis, Clyde Puli, Godfrey Farrugia, Toni Bezzina, Claudio Grech, Tonio Fenech, Edward Scicluna, George Pullicino, Silvio Parnis, Antoine Borg, Konrad Mizzi, Joe Mizzi, Carmelo Ablea, Deo Debattista, Censu Galea, Charlo Bonnici, Kristy Debono, Etienne Grech, Claudette Buttigieg, Tony Abela, Stephen Spiteri, Frederick Azzopardi, Robert Cutajar, Chris Said, Jason Azzopardi, David Agius and Deborah Schembri. The debate was concluded by Education Minister Evarist Bartolo who said the Opposition speakers had sounded like the end of the world was upon us. The Opposition speakers, he said, had not made a detailed analysis of the proposed contract. The minister denied that educational standards were being lowered, pointing out that government spending on the University of Malta has increased by a quarter. As to the investor not having an educational background, Mr Bartolo said the former government too had awarded education licences to investors without an education track record. Investors did not run the institutions themselves. Mr Bartolo said there were several organisations in Malta which had been applied and been granted a licence as higher education institutions. Under a 2012 legal notice, applicants which were not yet an accredited universities were told to apply for a licence as a higher education institution. They then achieved a track record and could apply for the status of university. Every programme to be offered by the Sadeen Group at all degree levels was being examined and needed to be recognised by the National Commission for Higher Education. The commission was also evaluating the programmes prepared by De Paul University and other US universities for the AUM. The process was complicated because converting the US systems to Europe's was not easy. Standards would not be compromised, Mr Bartolo said, and this project would leave substantial economic and social benefit for the country. On a point of order, Mr Bartolo said the contract which MPs would vote upon spoke only of an entity which described itself as a university whereas the minister had said the application was for a Higher Education Institution. How could MPs vote for something which was different from what the minister had said? Mr Bartolo said higher education institutions were entitled to offer university programmes. Dr Bartolo said the law clearly said that licencees in the category of Higher Education Institution 'shall not use the word university' yet MPs were being asked to vote on a document which repeatedly used the word university. Could this be allowed by the Chair? Mr Bartolo said the object of the motion was the transfer of land and properties to Sadeen Investments Ltd. That was clearly started in the opening paragraphs. Furthermore, the institution was being put on the way to become a university. Prime Minister Joseph Muscat said the object of the motion was the transfer of the property not the granting of titles to universities. The contract laid down the obligations of a university when it became operational, not when the land was transferred. The government was legally correct. The sitting was interrupted for a ruling at 7.35am. It resumed at 9.06am when Speaker Anglu Farrugia said the Chair had noted what the law said that Higher Educational Institutions shall not use the word 'university'. However there was also a proviso that the word 'university' could be used when programmes were presented in association with accredited an university. The draft contract with the Sadeen group also included the definition of 'university' including accredited programmes provided by other universities with the AUM. The motion before the House, the Speaker said, was about the transfer of property. The draft contract said the property was to be used exclusively for education. The execution of the agreement was not the competence of parliament but the relevant institutions. The Chair therefore decided that the vote could go ahead. (applause on government benches). After a point raised by Dr Zammit Dimech the government agreed to amend the motion so that reference to 'project related retail outlets' within the campus would be changed to 'project related outlets'. The vote was then taken after a division. Independent MP Marlene Farrugia voted with the Opposition. The vote (after pairing of MPs) was 33 government votes in favour and 27 against.